– Working now as standalone mod without any other MB trucks and with Mercedes Trucks Megapack for ATS 1.31. IMPORTANT NOTE! 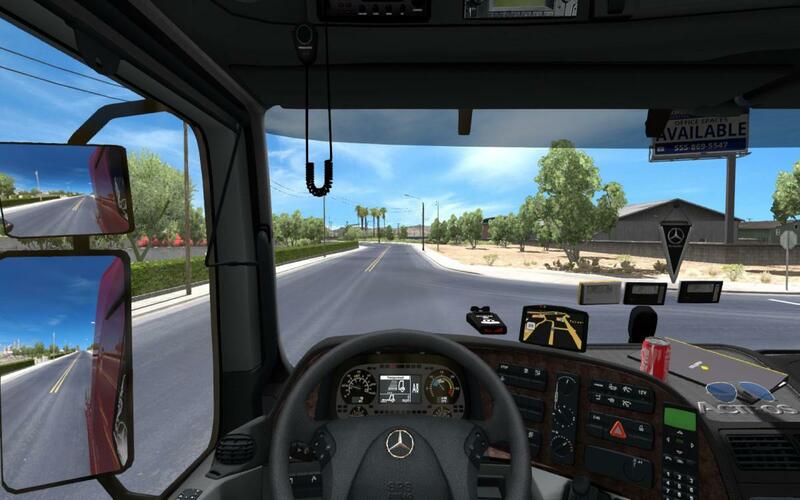 Tested on clear profile with default ATS maps and trucks and with Mercedes Trucks Megapack for ATS 1.31. 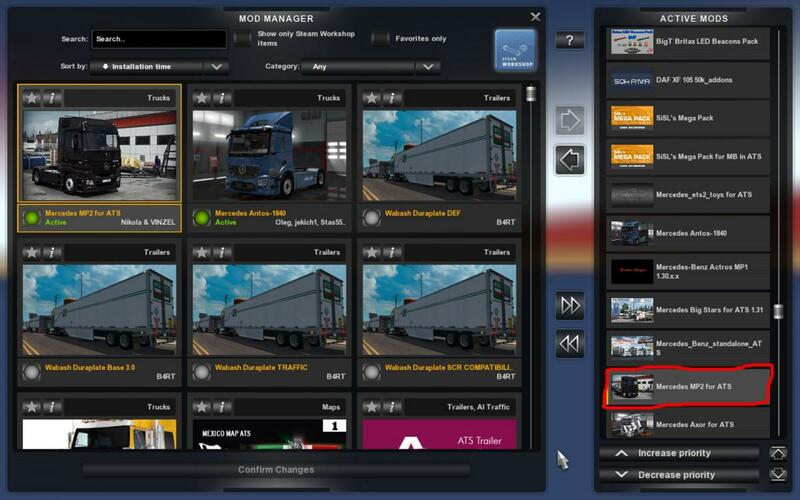 If using this mod with Mercedes Trucks Megapack for ATS 1.31 then this mod MUST BE BELOW Mercedes_Benz_standalone_ATS.scs(Mercedes truck megapack’s main mod) in mod manager, OTHERWISE entering dealer game will CTD! 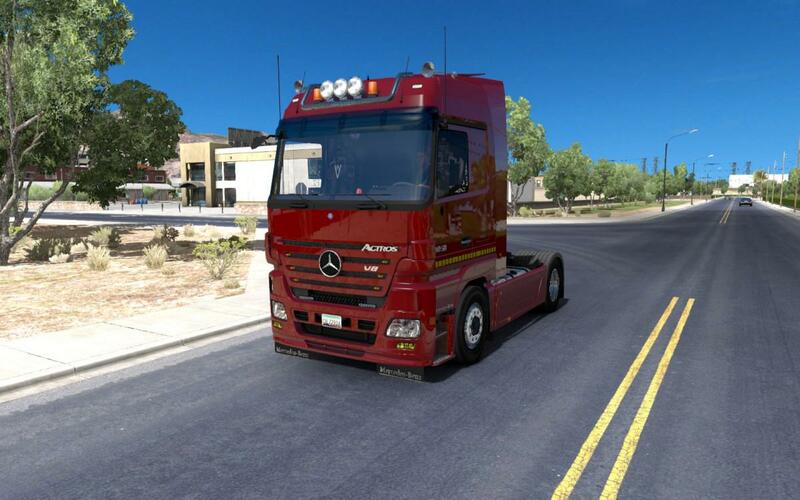 LOOK AT LOAD ORDER PICTURE if you plan to use this mod with Mercedes Trucks Megapack for ATS 1.31. Don’t forget to sell old MP2 truck before you enable and buy this new one in the game. Old MP2 mod you can delete then.